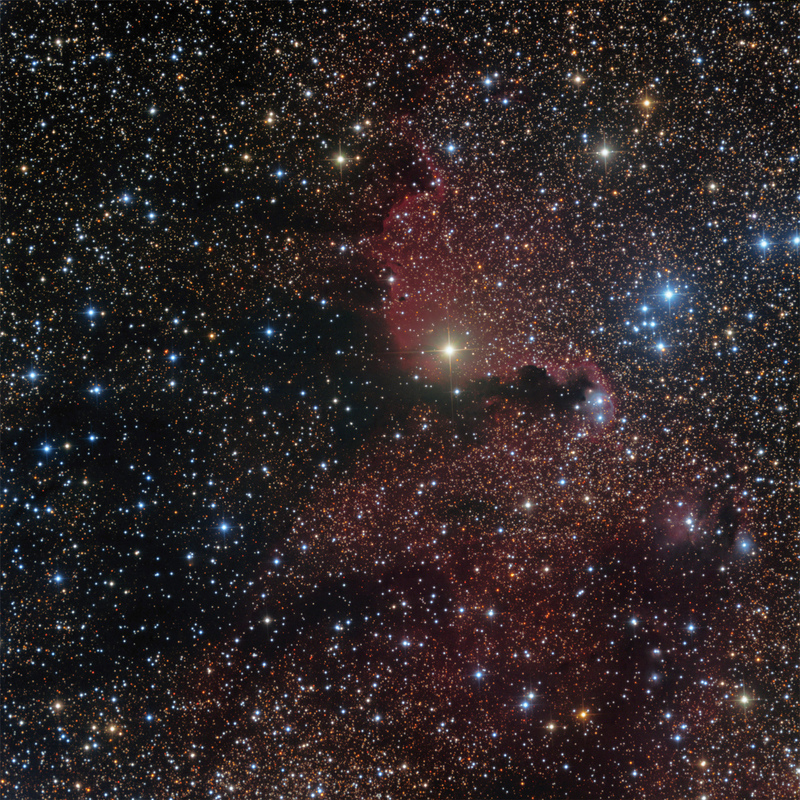 RCW 75 (Gum 48a) is an HII emission region in the constellation of Centaurus about 6200�light years away. The dark horizontal “cloud” is often referred to as the “Elephant Trunk”. �Above and to the right of the trunk is Stock 16, a very young Galactic open cluster that is thought to be the ionization source of the emission nebula. �The bluish reflection nebula at the end of the “Trunk” comes from light reflected off star LSS 3027 which is the upper of the two bright stars in the nebula that was described by Chu (Astron. Soc. Pacfic, 95, 873-875, 1983). �This image consists of 8 hours RGB data. �It is a complex and beautiful region.